Whether you are working as a graphic designer from years or a newbie in the same field, your dream is to spread your business anyhow. But before you think to start your business as a graphic designer, here are some tips for you. Most of the time it appears that we are not sure what to do like want to quit the job and start on own. So the first step is to ask yourself that are you ready to face all the situations, outcomes, problems that will come in your path. If your answer is in between of yes and no then there might be chances that it may result in aggressiveness or frustration. So keep in mind that you have to maintain your enthusiasm level and momentum till you find your destination. Being an entrepreneur of your graphic design business, you have to meet the customer requirement, handle new people and your staff. Be honest and find that for which service you are able on your own and for which service you need helping hand as a staff. It will ease the process of recruiting at the initial level. A graphic designer has to deal with the design of cards, logos, social media, animation, menu, and some more. Yes, I know that you are not master in all the work, but you have to find other people who can do it. As a beginner, you are not able to provide all the service that the client asks for. Even if you try to reach everyone, the quality of your work will not be up to date. Instead, focus on a particular audience and work and be the best in it. Once you become a master in a specific area, you can provide quality assurance within the given deadline. For this work, you have first to ask yourself that which work you can do the best and are you ready to cross the path from good to excellent by yourself and hard work? If the answer is yes, then dive in and get ready to face every challenge and overcome it. 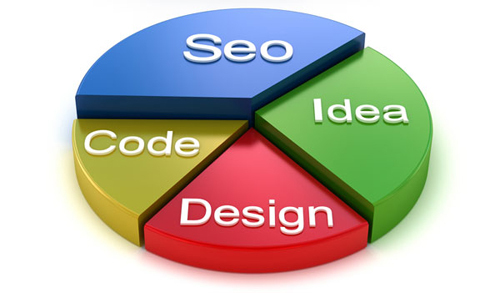 Find who are your competitors as per geographical location as well as online. And you have to find the way to compete them. google design sprints can help you with it. Even you can make a spreadsheet with the name of your competitor and which service they are providing with a price. And then do the same which little low price in an effective way. Yes, do all the work with proper strategy otherwise it can’t lead to your goal. Once you know the price of your competitor, it’s time to design your price list for individual service. Even for that also you have two option, one is charges on hourly basis and charges per project. Both methods are excellent, but you have to pick that cause more benefit to you. Do not set the price as per the basic expanse as there is some additional cost, too. Keep this thing in mind and get ready to start your new journey!